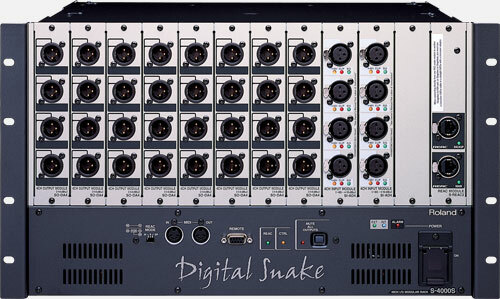 8x32 Modular Stage Unit The S-4000S-0832 is a component of the S-4000 Digital Snake System. It has 8 inputs, 8 outputs and redundant Ethernet connectors. It is typically used on the stage providing 8 mic/line inputs and 32 outputs or returns. 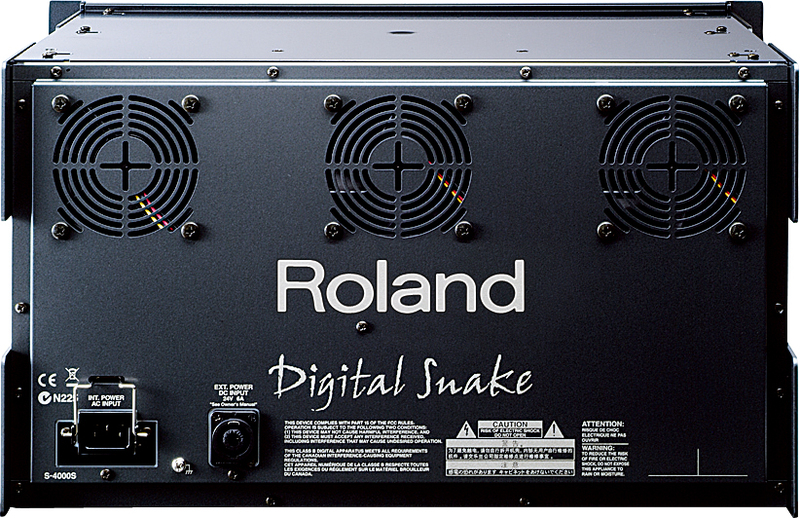 Each channel has remotely switchable Phantom Power as well as a 20 dB pad. The professional quality XR-1 mic preamps are remotely controllable in zipperless 1dB steps using the S-4000R Remote Controller or a Mac or PC using the free RCS software. The preamps have been designed for live sound applications and provide superb audio quality with 28 dB of headroom. The redundant Ethernet connectors are rugged Neutrik Ethercon connectors configured as Main and Backup. In case the Main cable is compromised, the system will automatically and seamlessly switch to the Backup cable and light an Indicator LED. In addition to redundant Ethernet connectors and an optional redundant power supply, the unit has a covered power switch to prevent accidental power loss as well as a power cable security bracket. The S-4000S-0832 is rack mountable and provides flush or recessed mounting positions so that a cover can be placed on its rack case while connectors are still in place. The S-4000S-0832 offers superb remotely controllable mic preamps along with Ethernet and optional power supply redundancy for a high quality, secure system.